Synopsis: Artist Sarah McDougall is burdened with a ‘gift,’ visions. After a life-threatening, horrific incident Sarah tries to outrun her unwanted ability by moving to Florida from New England. She considers that life as a seer is more of a curse than a gift. She doesn’t understand that her abilities can also be used to make wrongs right. Sarah and her Bassett Hound, Sparky, move into a quiet neighborhood edging the thirteenth hole of a golf course on Spyglass Lane. Settled into a routine of nightly jaunts across the course, Sparky leads Sarah onto the thirteenth hole sand trap where Sarah envisions a dead body buried beneath the sand. Panic stricken that she has not escaped her affliction, combined with horror at her discovery of the dead woman, Sarah takes Sparky home in haste. As she nears her front door, Sarah becomes overwhelmed by another vision. Across the street, her mysterious neighbor – a dark, dangerous looking man, who reminds Sarah of a swashbuckling pirate – notices her distress. Sarah makes excuses to him when he attempts to help her because she doesn’t want to speak about her visions. Fleeing into the safety of her home she settles in for the remainder of the night. Sarah awakes in the dark night, with her heart racing and her head reeling. She hears sounds coming from the golf course. After another set of weird, traumatizing images, Sarah summons the courage to approach her pirate-like neighbor and request his assistance. Unwilling to explain the intrusive imagery that plagues her, Sarah asks the pirate to look around the sand trap. Though he is skeptical of her explanation about what might be buried there, he is also curious. Reluctantly he agrees to Sarah’s request, and they uncover the dead woman. Sarah suffers another incident and nearly faints. The pirate sends her home to summon the police. Sarah’s peaceful existence ends. She can’t outrun her abilities. Ridiculed in the past for attempting to use them to assist in a police investigation, Sarah remains silent while she begins her own inquiry into the death of the woman – a prominent socialite, whose husband owns a renowned art gallery. She learns that the pair was considered the fund raising elitists of their area. Sarah discovers gossip concerning fraudulent art sales connected to the gallery and she begins to suspect the victim’s husband of the woman’s murder. Sarah sneaks around and works her way into the gallery. She finds the pirate at her elbow at every turn. Unable to escape his intense questions, she confesses her visions to him. In turn, he insists on protecting her from the same fate as the dead woman. After Sarah manages to meet the dead woman’s husband she inveigles her way into the artisan group showing their work at an upcoming opening. As Sarah learns more about the murder and art fraud she wonders if this was why the woman was murdered. Sarah and the pirate begin closing in on the murderer until they find there is more to the killing than they initially believed. Considering greed as the main motive for murder, Sarah is surprised when she finds that jealousy was the key ingredient instead. At a private celebration party held by the gallery owner, Sarah is cornered and kidnapped. Before she is silenced for good, Sarah seeks a confession from her kidnapper – all the while buying time, hoping for a rescue. As an attempt is building to take Sarah’s life, she frees herself and struggles with the kidnapper. The pirate arrives just as Sarah has gotten the upper hand. He assists her to bring the killer to justice. 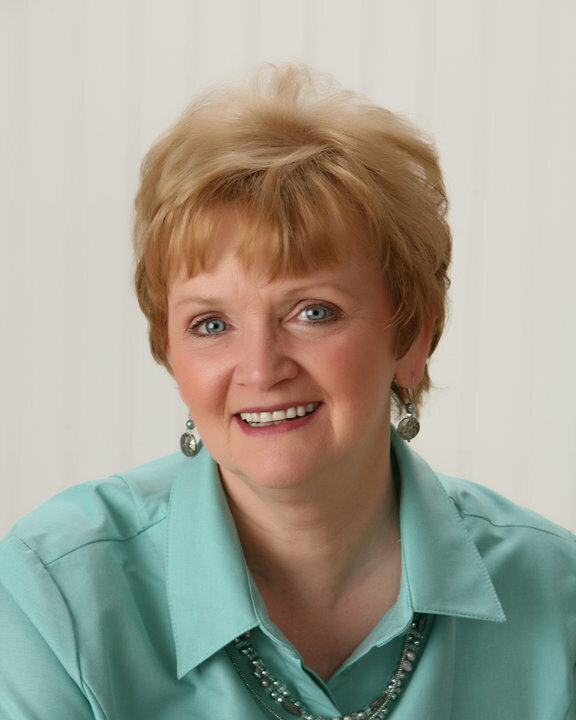 She has her visions to thank for the resolution of the murder case, and for her rescue. Sarah finally accepts that her capabilities can be used for good versus evil purposes. When Sarah’s life returns to normal, she is thrilled to have the pirate as her friend, lover, and understanding partner. About the author: JM Griffin grew up in the Maine countryside. 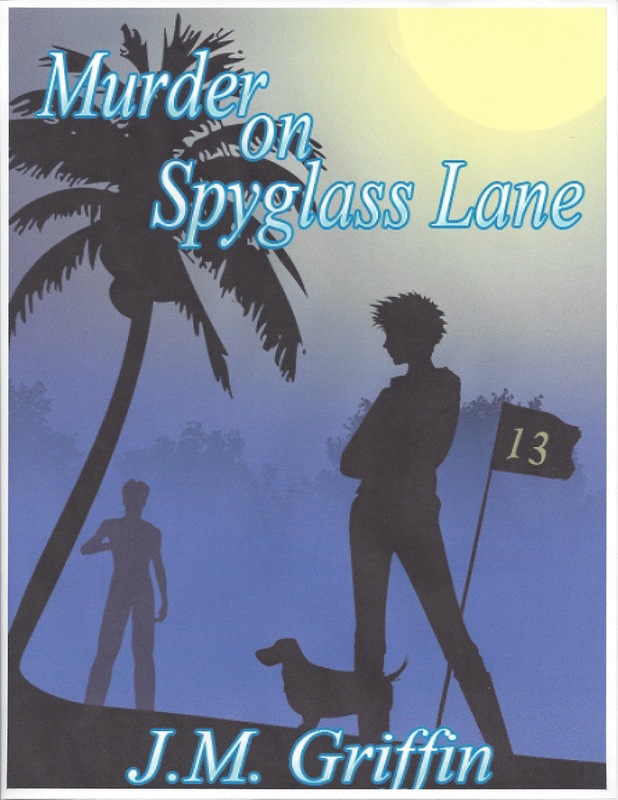 Inspired by the Nancy Drew mysteries, JM wrote her first story at age twelve. With 5 books written and more in the works, JM's first book in the Vinnie Esposito series published in February of 2009. The first and second Vinnie Esposito novels have been re-released through Lachesis Publishing. The third novel in the series, Dead Wrong, was released in ebook format in October 2010, and in paperback in April 2011. Stay tuned for more of the Vinnie Esposito series. In addition to the Esposito series, JM has written a mystery featuring faeries, pixies, murder, tea and cupcakes. Lyrical Press, Inc. presented the ebook on August 16th of 2010. The paper edition was released in June 2011 and is available at www.amazon.com. 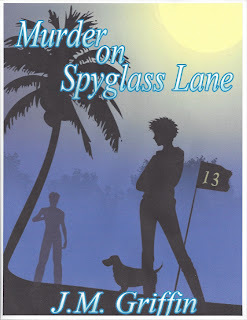 Murder on Spy Glass Lane, a novel filled with the antics of Sarah McDougall, a psychic artist, her Bassett hound Sparky, and their swashbuckling pirate-like neighbor was published as an ebook in January 2012. The paper version of this book will be available January 1, 2012 on http://tinyurl.com/82rs8s7. JM and her husband John reside with two crazy cats who rule the roost in New England. Their home is surrounded by a forest, a nearby reservoir and natures creatures.